Billed as being the most powerful Lotus to date (excluding the limited-run 438 bhp Evora GTE), the brand new Evora 400 is six seconds faster around the Hethel track than the Evora S, according to the tests conducted by Lotus. Seen here is probably a pre-production unit being put through its paces at the test rack owned by Lotus in Norfolk, UK. 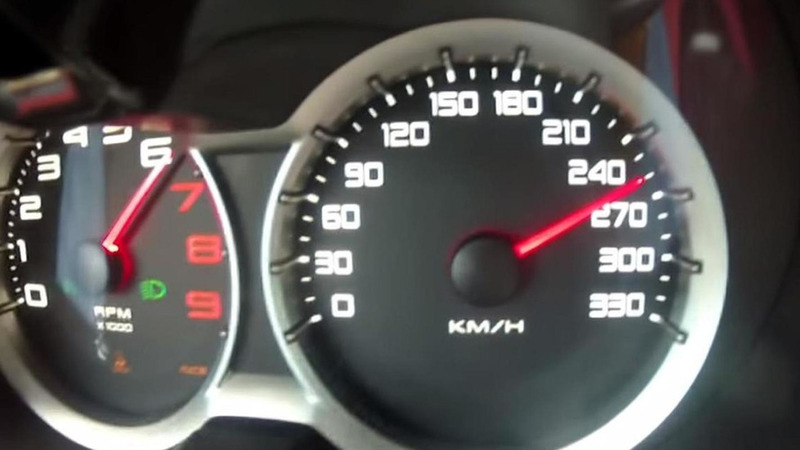 Christian managed to climb that speedometer all the way up to 260 km/h (161.5 mph) and there was room for more as Lotus is quoting a 300 km/h (186 mph) top speed. It's the first of many new Lotus models to come, including an Evora 400 Roadster which will share the same supercharged V6 3.5-liter engine rated at 400 bhp (298 kW) and 302 lb-ft (410 Nm). The motor can work with a six-speed manual gearbox as the car featured in this video, but Lotus is also offering an optional six-speed automatic. The 0-62 mph (0-100 km/h) journey takes 4.2 seconds and the high-performance coupe stops efficiently thanks to beefier brakes and if you go for the manual version you also get a limited-slip differential. Lotus commenced production at the beginning of the month and will start shipping cars in August for the European market while customers from North America and China will have to wait until early 2016.